Shiver me timbers, fill up my pink treasure chest or I will slay you with cuteness! We created our artwork using the Pirate Effects in Ribbet. Arrr, tis a fine pirate ye make! You sure scared us with those teeth Mudpie so we'll try and avoid upsetting you while we are sailing with you. Arrr, you'll be such a dangerous pirate. Mudpie, you sure make a great Pirate. No one is going to bother you with those big teeth. Happy Talk like a pirate day. Arrgh! Now where's the nip! Oh my are YOU ever one ferocious wench! MOL! We love this, Mudpie. Mad Annie wishes she thought of this instead of drinking too much rum! Go fetch me some mousies!!! 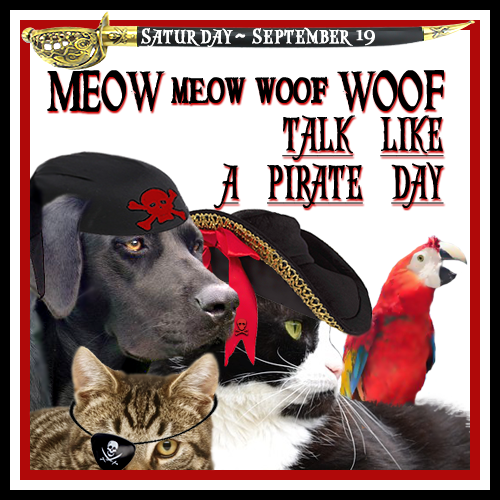 Happy Meow Like a Pirate! Yous look to bootyful to be fwaid of. Have a gweat weekend. yar! We be quaking in arr boots! Come over and share in the plunder and some nip grog! Arrr! Looking’ good and scurvy ye arrr. Ye won’t be walkin’ th’ plank this night. 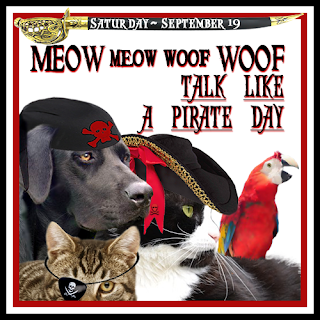 Happy Meow Like a Pirate Day! Arrrrgh! You are a scarey pirate cat! Your're too cute to be scary, Mudpie. Arrrrrrgh! Mudpie, we definitely would give you exactly what you want. You are a mighty fierce pirate. XOCK, Lily Olivia, Mauricio, Misty May, Giulietta, Fiona, Astrid, Lisbeth and Calista Jo ARGH! Aaaarrgh and Ahoy Matey! Ye be a fine pirate wench 'n I be more than happy t' set sail wit' ye! MOL! You are too cute miss Mudpie. 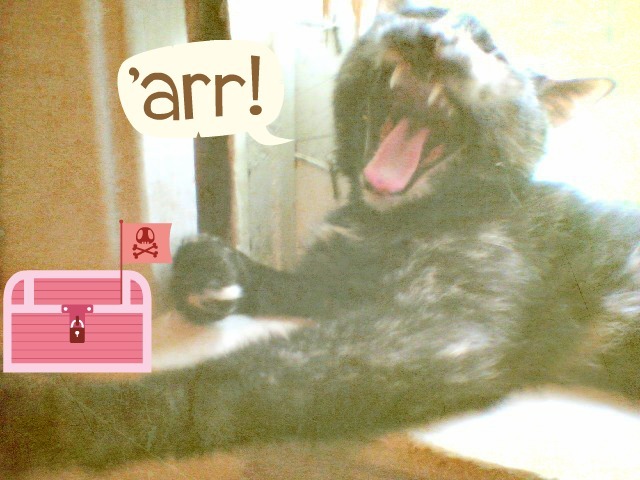 Mudpie you are such a fierce Pirate...what a great pic, matey! oooooh, those are FIERCE fangs indeed!